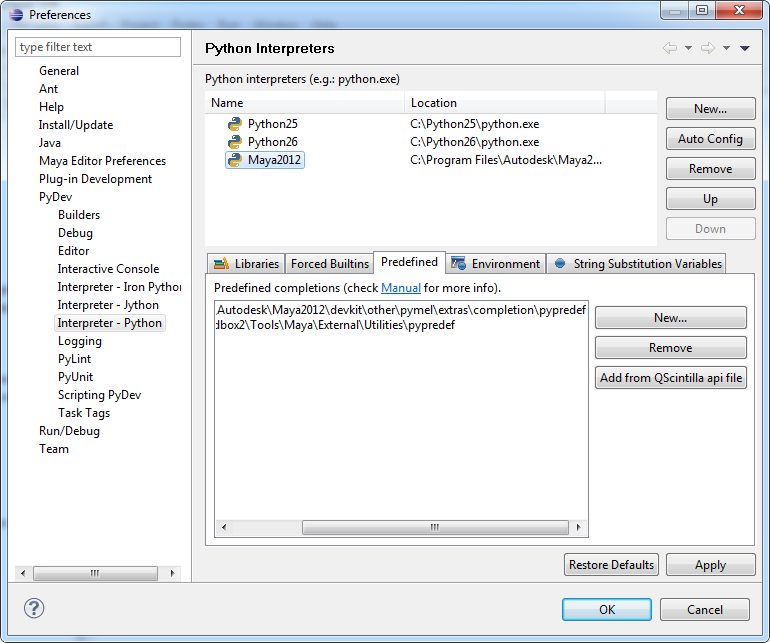 If you’re doing tools work in Maya and you aren’t using Python, PyQt, and an IDE for debugging… well… quite frankly you’re doing it wrong. 🙂 There are a few guides out there that have helped me and others get this workflow going, such as this one from Nathan Horne and this one from Christian Akesson. You should definitely read both of those posts, because almost everything I learned about this topic came from these two guys. 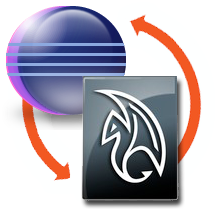 Download and install Eclipse 3.7.1 Classic SDK (Indigo) for x64. 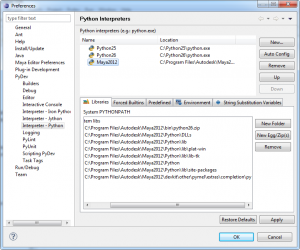 Add pymel autocompletion by first following these instructions to set up a Maya Python interpreter from the pymel guide. 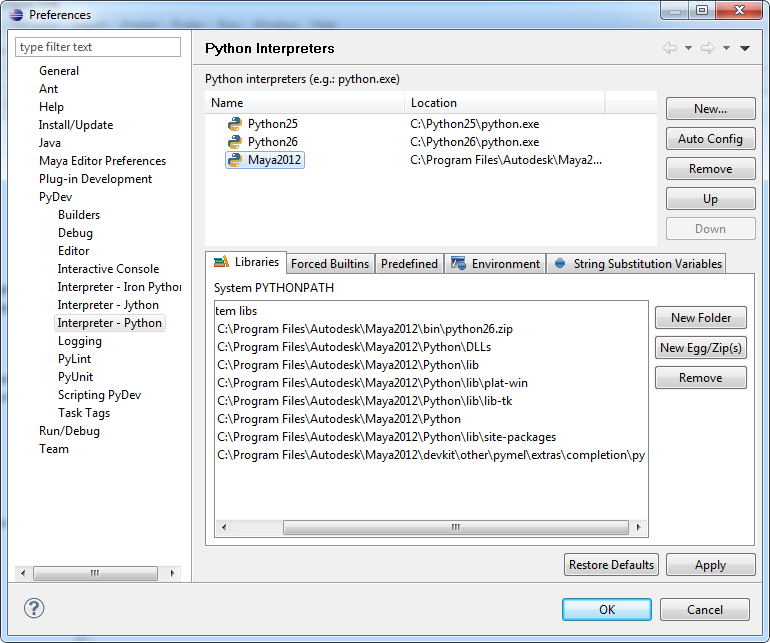 Download and extract the additional Maya commands pypredef elsewhere on your system. VERY IMPORTANT! 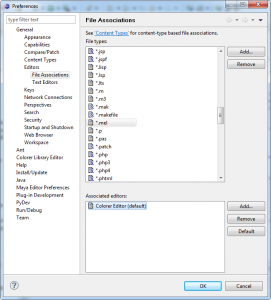 Prepend “maya.” to all files in the documentation pypredef for Maya 2012. This is the only way it worked for me without double entries. Follow the instructions at https://www.creativecrash.com/downloads/applications/syntax-scripting/c/eclipse-maya-mel to download and install the mel syntax highlighting update. 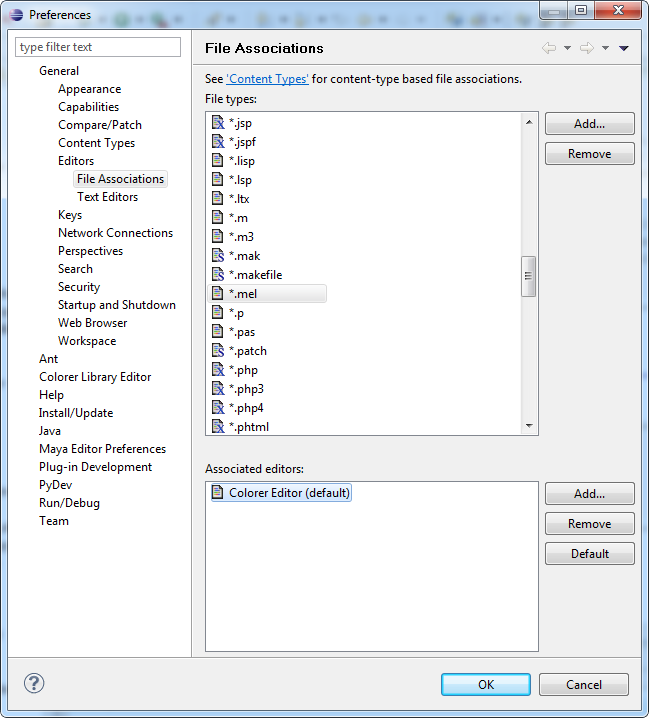 Install the Eclipse Maya Plugin to support sending the contents of the current window or selected to Maya’s script editor. After this everything with Eclipse and Maya should be working! 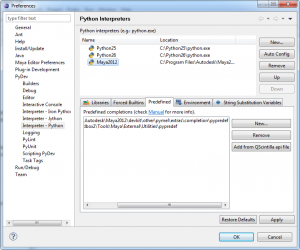 Next, you should set up PyQt so you can make the creation of complex GUIs a breeze. There are several ways to do this and Nathan’s post covers most of them. My preferred method is a bit different and I’ll cover it another day. Good luck and let me know how everything works out for you!